The Society Garden is a new, family-friendly, outdoor venue in historic Ingleside Village. Offering a casually cool, intimate setting to mingle with new friends and neighbors, the Beer Garden features craft and domestic bottles, fine wine, organic sodas and coffees, popcorn, and pre-packaged ice cream treats. A dog and family-friendly space with a large, private fenced in "secret garden" with stage, ping-pong tables, horseshoes, sandbox and more. A complete list of scheduled upcoming events can be found here. Cheer on Macon’s home team and return of baseball to Luther Williams Field. In their inaugural season, the Macon Bacon go head to head against rivaling teams in the southeast Coastal Plain League. Macon Bacon home games span throughout the summer into early August. Soak up the sun at Sandy Beach Water Park on the shore of Lake Tobesofkee. 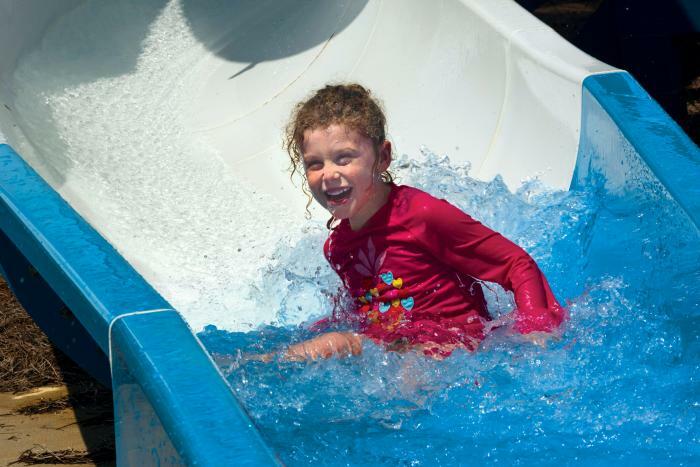 The lakeside water adventure park operates daily throughout the summer until September 3. Guests of all ages will enjoy the Sandy Beach Lazy River, Wonderful Wave Pool, Wild Water Slides and more. Celebrate summer out on the lake. Located just outside Macon&apos;s city limits, Lake Tobesofkee is a year-round recreation area covering nearly 1800 acres with 35 miles of shoreline. Lakefront or lakeview sites are available along with boat ramps at the parks. There are no boat motor restrictions or size limits on Lake Tobesofkee,” according to park administration. Three parks, each with a white sandy beach offer activities such as swimming, fishing, boating, camping, water skiing, sailing and picnicking, are located around the lake. All three parks offer campsites with modern conveniences. Explore the beauty of the Ocmulgee River with Ocmulgee Outdoor Expeditions. Start your excursion at Amerson River Park for a Quick Float, one to three hour expedition, or a guided half-day tour. Cost includes canoe and kayak rental, and shuttling to location. Price varies depending on tour option. Amerson River Park contains 180 acres of pristine forests, meadows, and wetlands surrounded by a river oxbow. With seven miles of trails, the park boasts several high bluffs that provide beautiful views of the river and its banks. Come play on the state-of-the-art handicap-usable playground where all children, regardless of physical ability, can enjoy swings, slides, and other playground equipment. It’s peach season and Georgia’s iconic fruit is waiting to be picked. With places like Lane Southern Orchards in Fort Valley and Dickey Farms in Musella visitors have the opportunity to get their hands on farm fresh peaches. Now hitting peak season, guests can take a tour of day-to-day operations as peaches are picked, sorted and shipped nationwide. Peach ice cream is a must have at any one of these locations. The Peach Packing Line is "sort" of a must-see when you visit #LaneSouthernOrchards. Take a free, self-guided tour of our warehouse where we sort and pack our #peaches!